Midwest has upped its baggage fee by $5 on flights booked after September 1 for travel on or after October 1. The new fees are $20 each way for the first bag (up from $15), and $30 for the second (up from $25). Every bag after that will cost you $50 a bag, which is actually lower than it used to be. Midwest’s fee bump mirrors the baggage fee increase Frontier instituted back in early September. But this is part of a larger industry trend of slowly inching up baggage fees. Last month, American and US Airways raised their first and second bag fees by $5. Virgin America raised its bag check fee to $20 a bag (for up to 10 bags). Five more airlines started charging for the second checked bag on international flights. And, stealing the spotlight yet again, Ryanair raised its first-checked-bag fee to $50, creating a decent chance that your ticket will be the cheapest part of your flight on the European low-cost carrier. Is it surprising that baggage fees seem to be creeping ever upwards, $5 at a time? Not really. 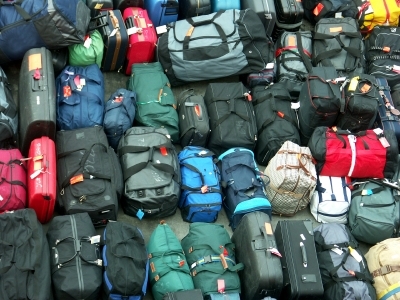 After all, baggage fees have yielded the airline industry an extra $669 million in the second quarter of 2009 alone. But when will it stop? Before or after checked baggage becomes a luxury only a few can afford?